The Weapon Or Tool A Video Game Character Needs To Advance The Story Is Called The? Which Island Was Virtually Mammal Free Before Human Colonization? If you’ve played video games long enough, especially those in the RPG genre, you’ve certainly come across a “sword of plot” or two in your day. The term is used to refer to any pivotal weapon, tool, or critical item in a video game that the player must get in order to advance the plot of the game forward. Perhaps the most iconic of all “sword of plots” is literally a sword, the Master Sword—seen here—found in numerous games in The Legend of Zelda franchise. 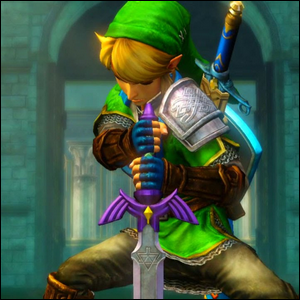 In many of the Zelda games, locating and retrieving the Master Sword is critical to progressing in the game. The sword of plot trope is found in many other video games as well and isn’t exclusive to Zelda games or the fantasy/RPG genre. In every BioShock game, for example, the player is required to find a specific vigor/plasmid that will imbue them with a special power to progress past an obstacle. Although quite familiar to video game fans, the sword of plot can also be found in many forms of story telling outside of gaming. In Star Wars (A New Hope and The Force Awakens), Anakin’s lightsaber is a sword of plot, as is the Sword of Godric Gryffindor in Harry Potter. And it would certainly be remiss of us to conclude without mentioning the greatest sword of plot in history: Excalibur, the sword whose arrival is the turning point in the rise of King Arthur and the foundation of Arthurian legend.